them to use as classroom books. them. The base page is left alone. Put the pages in order, lining them up with the upper edge of the paper. 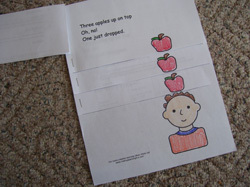 classroom use, it is suggested that you laminate the pages before you bind them.